Is there a better alternative to StatCalc? 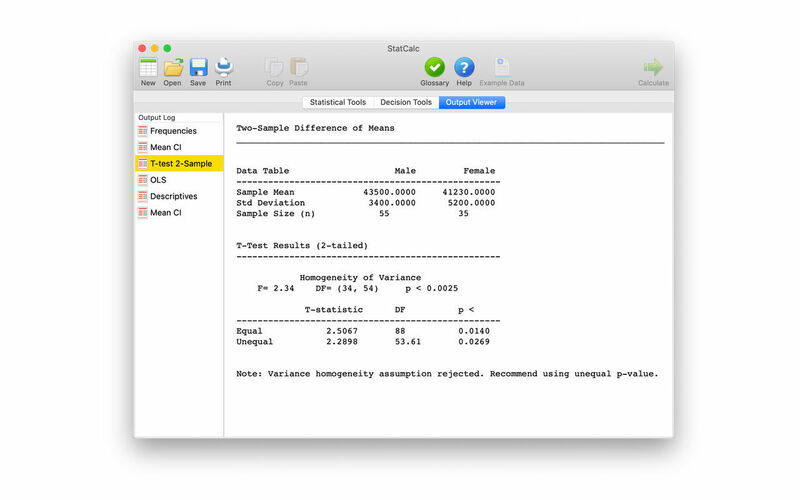 Is StatCalc really the best app in Mathematics category? 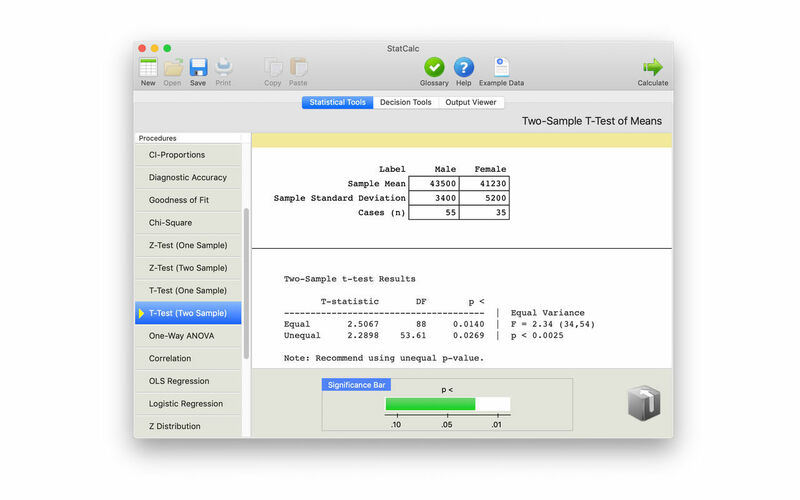 Will StatCalc work good on macOS 10.13.4? StatCalc needs a review. Be the first to review this app and get the discussion started! StatCalc needs a rating. Be the first to rate this app and get the discussion started! 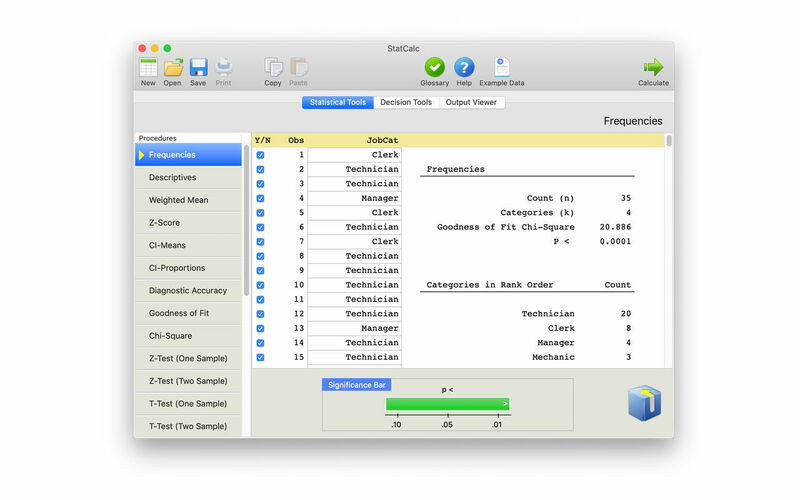 StatCalc is a user-friendly analytical tool which simplifies common statistical calculations with 21 procedures. 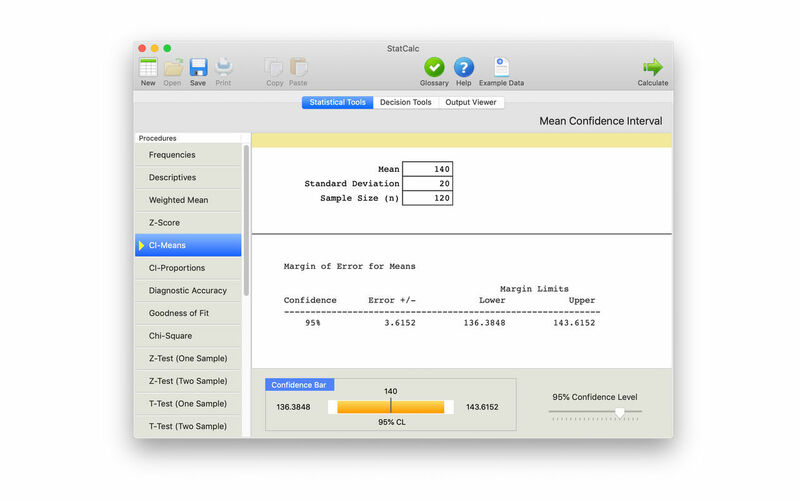 Use it to easily create summary statistics, develop confidence intervals, and verify hand calculations. Enter data to create descriptive, correlation, and regression statistics. A Decision Tools module is included to explore price elasticity of demand, queuing theory, constant dollars, and decision tables. 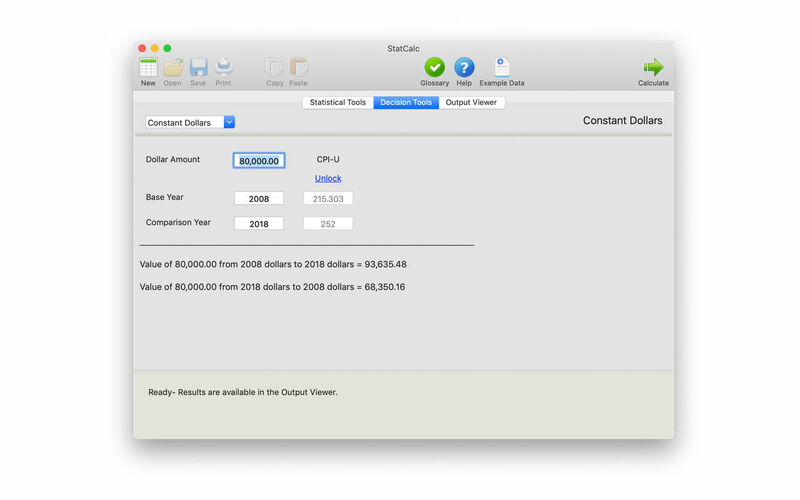 StatCalc includes example data for each module to help you quickly learn the procedures. A statistics glossary is included. Output is stored in an output log to view and print results. The demo version limits full use to the Descriptives procedure. The other 20 procedures can be explored using the example data.